Obtaining a first-mover competitive advantage or faster time-to-market requires a new wave in analytics. Dassault Systèmes remains a leading innovator in Product Lifecycle Management (PLM) and has invested heavily in analytical technologies to further drive business benefits for its customers in the related areas of planning, simulation, insight and optimization. 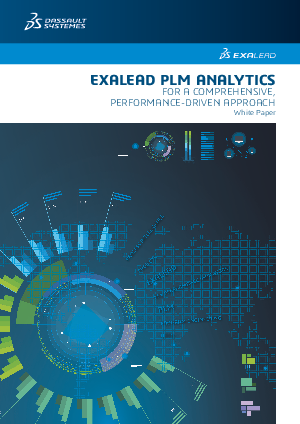 This white paper examines the challenges peculiar to PLM and why Dassault Systèmes’ EXALEAD offers the most appropriate solution. It also clearly positions EXALEAD PLM Analytics alongside related technologies like BI, data-warehousing and Big Data solutions. Understand and implement PLM Analytics to access actionable information, support accurate decision-making, and drive performance.